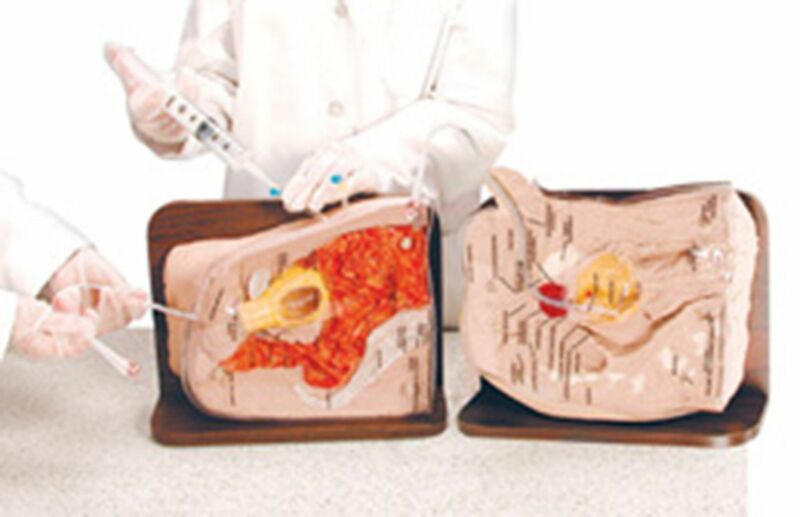 These unique Life/form® simulators combine visual and tactile learning sensations of catheterization in one compact unit. 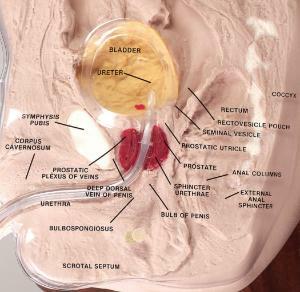 The mid-sagittal dissections allow detailed study of the internal anatomy and provide students an opportunity to follow what happens when they catheterize a patient. 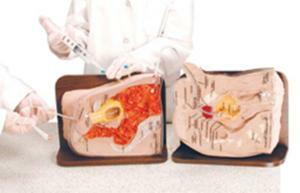 The removable plastic cover identifies key anatomical structures. With practice on Cath-Ed Simulators, normal restrictions at the bulbous urethra and bladder sphincter can be detected and identified. A Foley catheter can be demonstrated and seen through the viewing port. Includes a hard carrying case, lubricant, one catheter, 50 cc bulb, syringe, and instruction manual. These simulators do not have a functional bladder.